Spend your Holidays in the City! 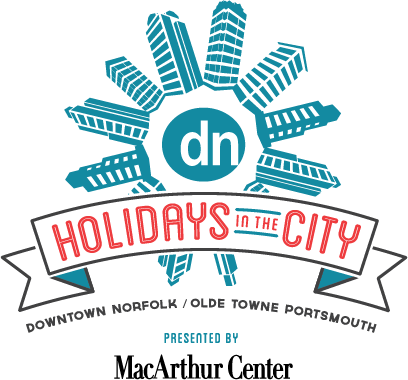 Enjoy a magical celebration of holiday events and activities throughout Downtown Norfolk and Olde Towne Portsmouth. Holidays in the City kicks off with everyone's favorite annual tradition: the Grand Illumination Parade, held the Saturday before Thanksgiving. Buildings throughout Downtown are beautifully illuminated, and the festivities officially begin! During the Holidays in the City season, enjoy favorites like the Virginia Stage Company’s A Christmas Carol or Portsmouth's Winter Wonderland. Visit festive attractions like Dickens’ Christmas Towne and MacArthur Center's MacArthur On Ice Ice Rink. Holidays in the City celebrates its 34th anniversary in 2018. Be a part of this glorious family tradition!